St. Rosaire with students in her icon class. Sister Rosaire is a wonderful artist of painting and sculpture. 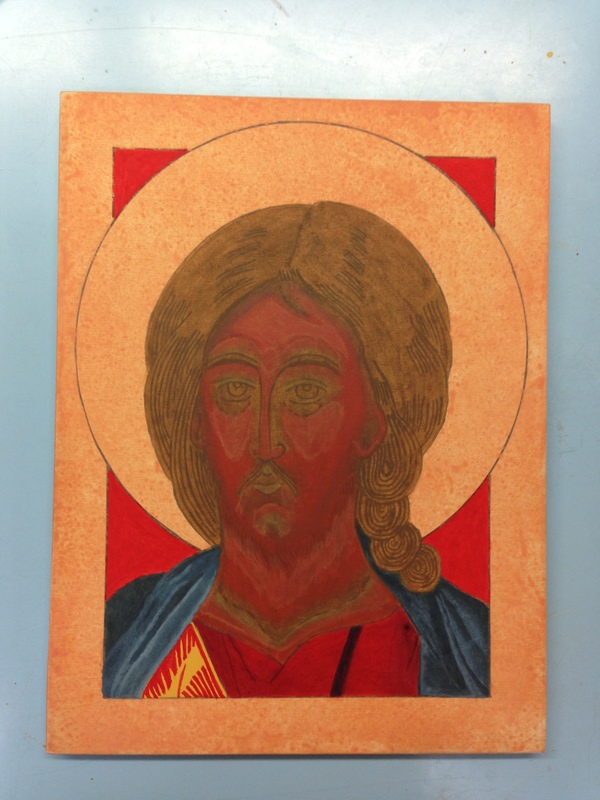 She studied at Carlow University, Notre Dame University, and The Catholic University of America for undergraduate and Masters of Fine Arts Degrees and taught Art and Art History. 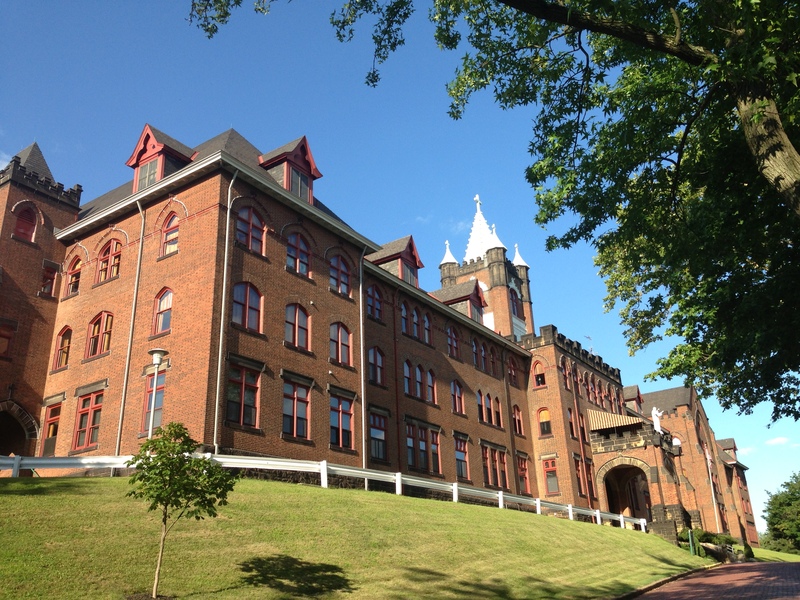 She now teaches the “writing” of icons in her studio at Mount Alvernia in Millvale. Her iconography has appeared in numerous publications, including the City Paper , the Trib, and many other places. Her bronze sculpture of St. Marianne Cope is near the very location in Honolulu, Hawaii where the great saint first landed to begin her work serving the sick. 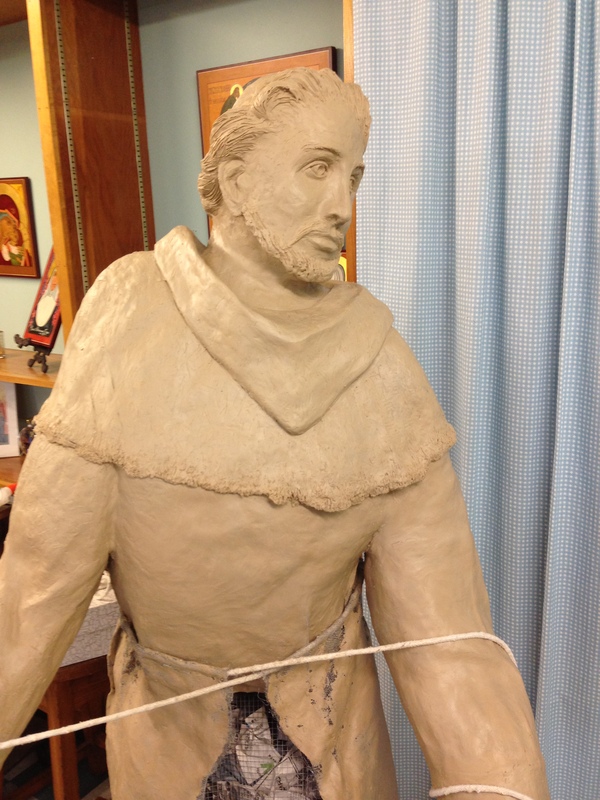 As I completed work on my icon, Sister completed work on another sculpture of St. Francis of Assisi that after being cast in bronze will also be set up in Hawaii. 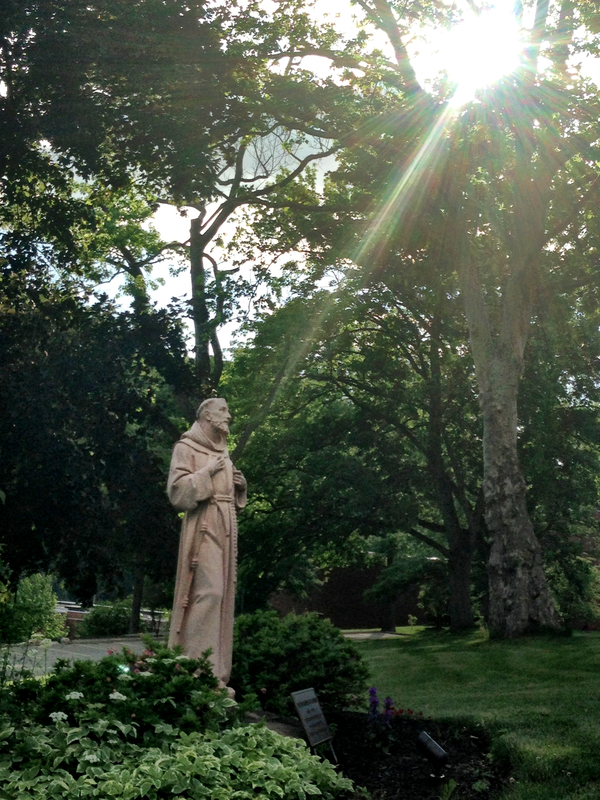 St. Francis statue on the Sisters of St. Francis property. Icon is a word that means “image,” but some say that they are actually windows into heaven. They are not meant to be perfect representations of the individual being depicted. In most cases the individual being depicted was never recorded or photographed. They actually tell a story (which is why icons are properly called “written”) through their images and symbols. They allow us to enter into the story and get a glimpse of what is happening. 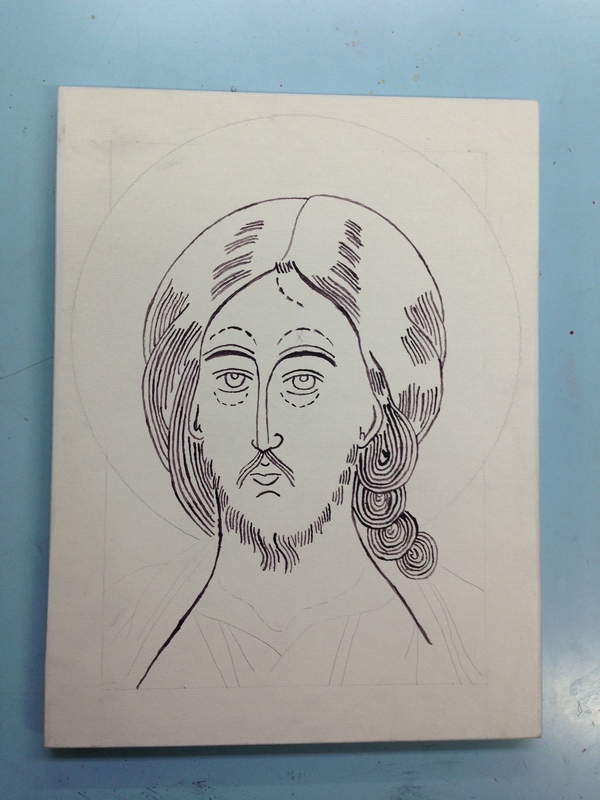 The writing of an icon begins by tracing a copy of an existing icon image (no creativity here!) 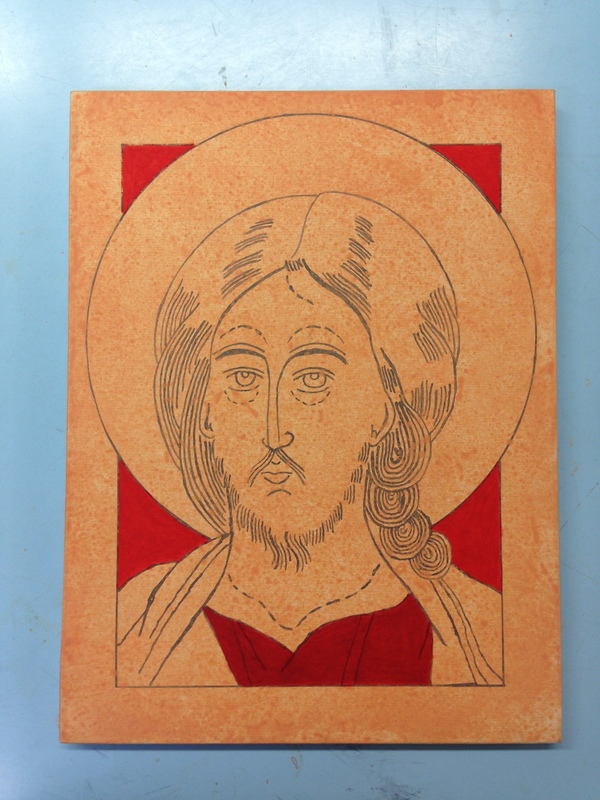 and then using carbon paper to imprint the traced image onto a board. The carbon image is then painted onto the board. Then a ruler is used to outline a border onto the board and a compass is used to outline the halo. Then a wash is applied to the board to allow paint to stick. Then you begin by applying very transparent layers of paint over and over again to get the shades of color that you are looking for starting with the background, clothes, hair, and face. 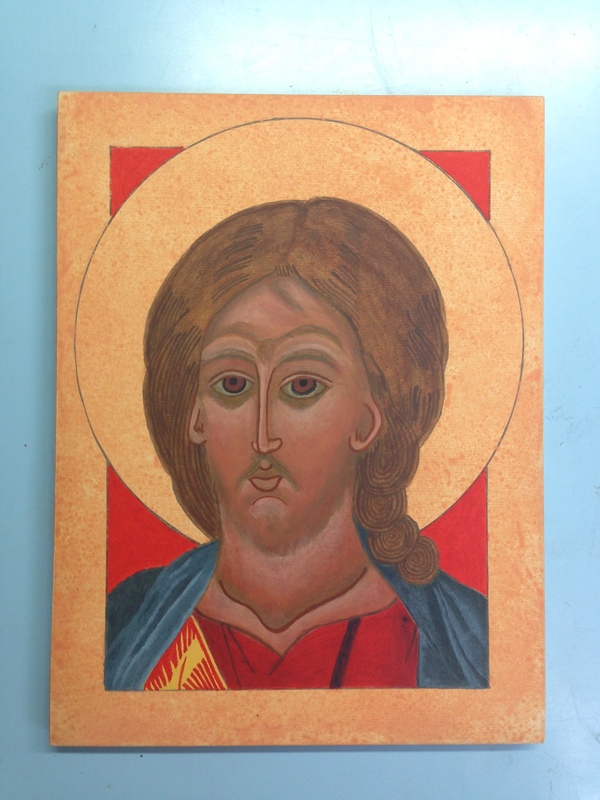 You then add a thick and a thin border before adding the gold leaf to the halo. Then lettering is applied to the icon. The lettering on the halo of my icon represents “I AM who AM” and the IX and XC are Greek for Jesus Christ. A message is sometimes placed on the back. 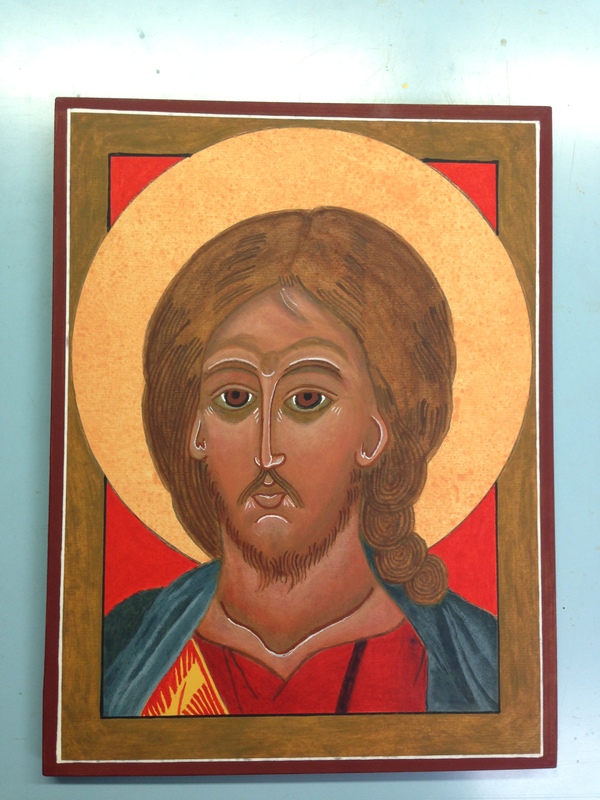 My icon reads “Christ the Savior – For the honor and glory of God from the hand of Deacon David Miller 07/10/2014. “ The final step is to apply a varnish. 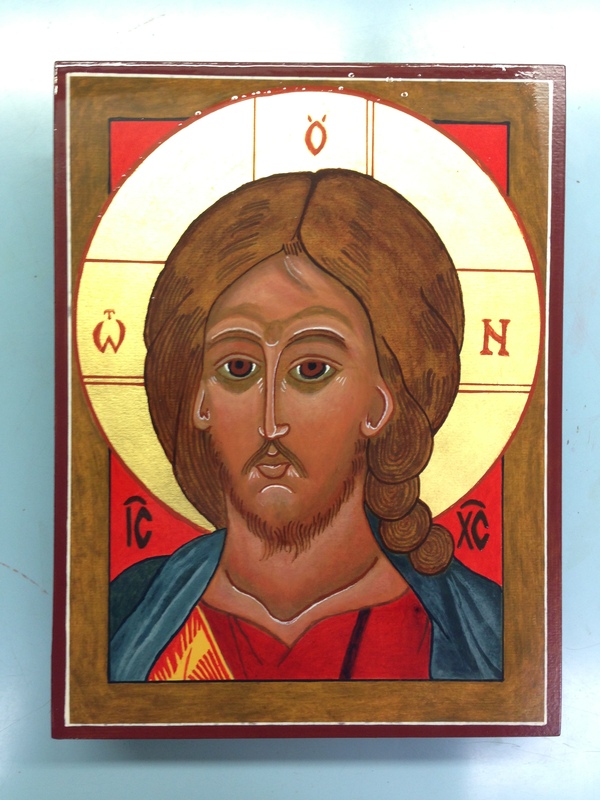 Icons are blessed by a bishop, priest, or deacon by applying holy oil to the back of the board. Because I am a deacon I got to bless my own icon. What a joy! 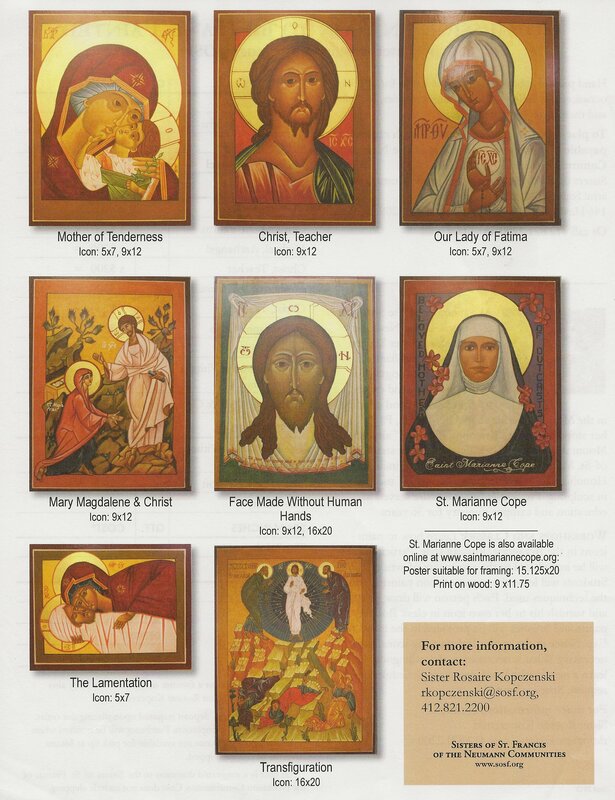 Icons are a wonderful way to practice prayer and meditation, to increase your devotion to the individual saint or biblical story being “written,” and to deepen your relationship and love for God. 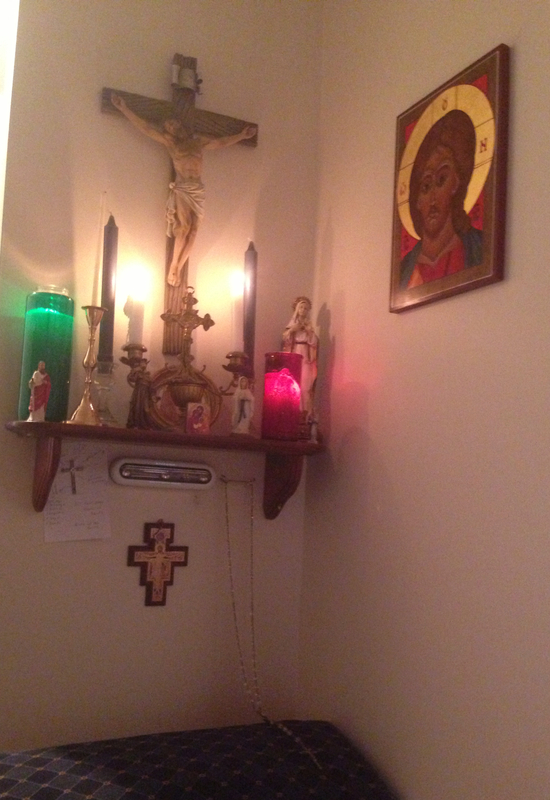 My icon is now prominently displayed near my “beautiful corner,” a prayerful space that is set up specifically to pray and meditate. My area includes the Our Lady of Lourdes Rosary that led to my becoming Catholic, a kneeler, crucifix, candles, statues, relics of saints, and now my Christ the Savior icon that has been placed on an east facing wall (as icons are meant to do). I know that my first icon was such an amazing experience I can’t wait to being my second icon, which will most certainly be one of the Blessed Mother. 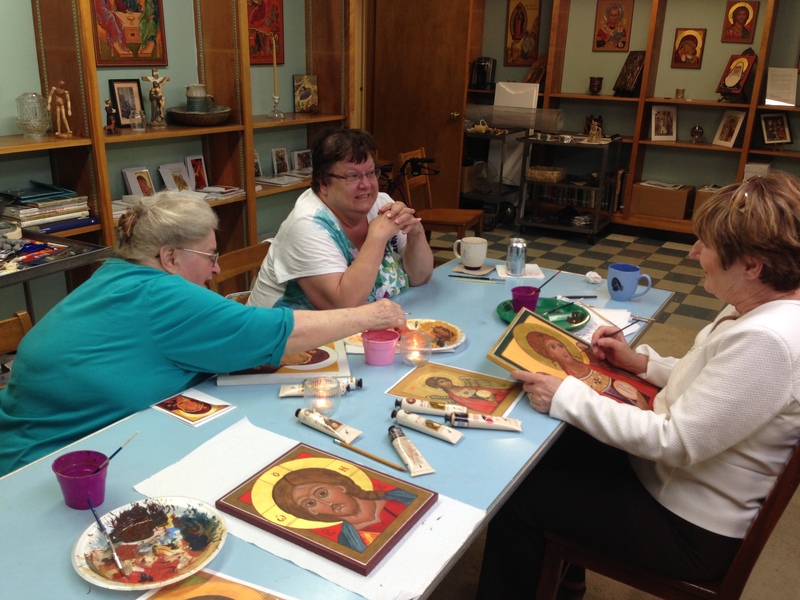 If you would like to take an icon class with Sister Rosaire, call the Sisters of St. Francis at 412-821-2200 or email Sister at rkopczenski@sosf.org. 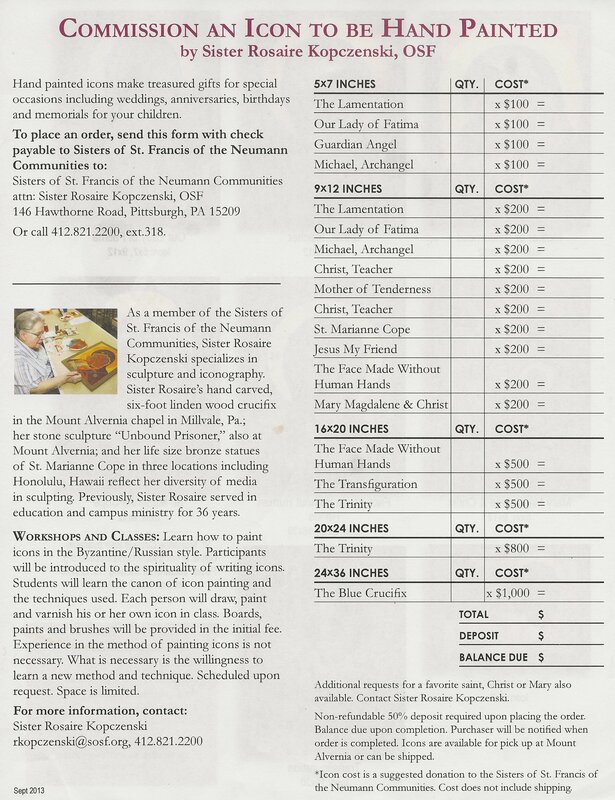 If you would like an icon, but don’t have the time to “write” one yourself, you can order an icon that Sister Rosaire herself “wrote” by ordering below. Just letting you know I saw you last night on The Journey Home . Thank for sharing your conversion story with last night. Your brother in Christ Raul Bernal from Laredo , Texas. great write up, David. Happy you are doing another one!!! !